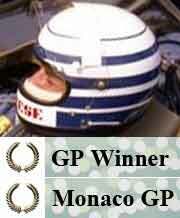 Had the record for competing in most World Championship Grands Prix, 256 in 17 years. Riccardo lost the record to R Barrichelle in 2008, because of that he was given a testdrive with Honda. Now works as Sky Sport Italia commentator.